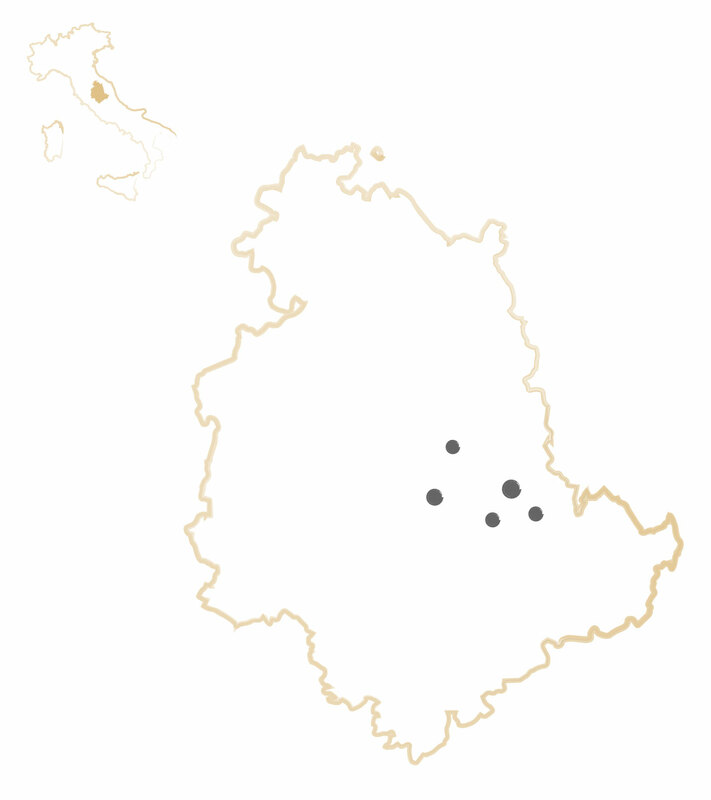 Foligno is in the heart of Umbria and is the town city of the region. It represents one of the unique old town centres in Umbria that stretches over flatland, allowing for pleasant walks on foot or by bicycle. The old town centre has a few streets and squares that make the town a real gem. 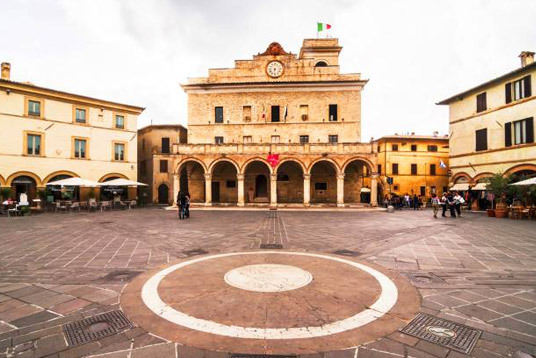 Given its strategic position, Foligno is the ideal place to stay, just a few kilometres away from the most beautiful villages in Umbria, such as Spello, Bevagna, Montefalco, Trevi and Assisi. 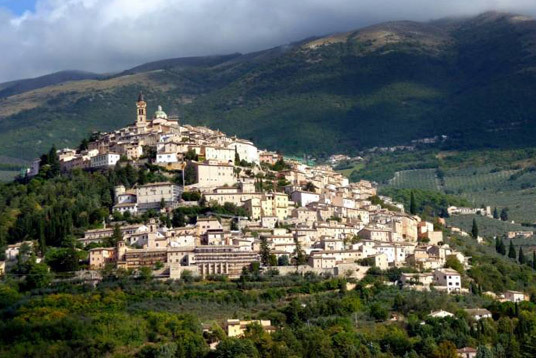 Spello: The small municipality of Spello is at the foot of Monte Subasio. It is considered one of the most beautiful villages in Italy and the ‘capital of flowers’ because of its most characteristic event ‘l’infiorata’ of Corpus Domini, which is held between May and June. This event turns the streets of the medieval village into enormous colourful, floral carpets that represent religious art scenes. Bevagna: A small village just minutes away from Foligno by car. It is the homeland of the Mercato delle Gaite, a historical re-enactment that fills the centre in June with characters dressed in traditional costumes and engaged in reproducing old trades and medieval food. Bevagna does not only come to life in June. Indeed, the village is full of beautiful places to visit, such as Piazza Silvestri and its Churches, and also the characteristic Torti Theatre. 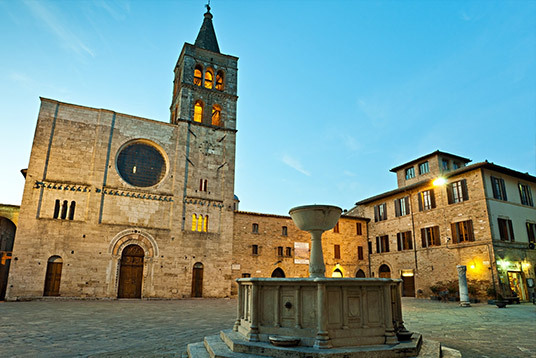 Montefalco: This small town is mainly known for its production of fine wine, Sagrantino. Its strategic position provides a view of a unique landscape surrounded by olive groves and vineyards. In August, it is possible to attend an annual event that brings hundreds of people together for ‘La Fuga del Bove’, a race involving the city’s ‘Quattro Quartieri’ (Four Districts). Assisi: Favourite destination, not only for religious tourism. The location of the magnificent Basilica of Saint Francis, which is decorated with marvellous frescoes by Giotto. The Rocca Maggiore is a strategic point where one can appreciate the unique view of the city and valley. 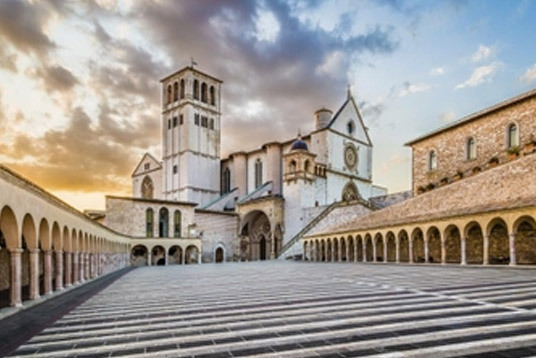 The strong spirituality that permeates Assisi makes it an unforgettable and fascinating town. Trevi: Immersed in the Umbrian countryside, Trevi is the land of oil and thus oil mills. It is highly recommended to visit them and discover the processing stages of oil and experience fantastic tastings. Not to be missed in Trevi in October is the historical re-enactment that turns the town of Trevi into a Medieval village. Piazza della Repubblica (5) and Piazza Duomo are two characteristic sites where you will find the historic Palazzo Trinci, the Municipality of Foligno and the Church of San Feliciano, a very significant place for art lovers who can admire a scale reproduction of the well-known Baldacchino di San Pietro (St. Peter’s Baldachin) of St. Peter’s Basilica in the Vatican City. Corso Cavour (8) is the Foligno high street where one can find boutiques, jewellers, shops and bars. In recent years, Via Gramsci (6) has become the liveliest street of the city, especially regarding evening entertainment and nightlife. Indeed, the street is lined with all types of restaurants and pubs where one can have excellent cocktails. 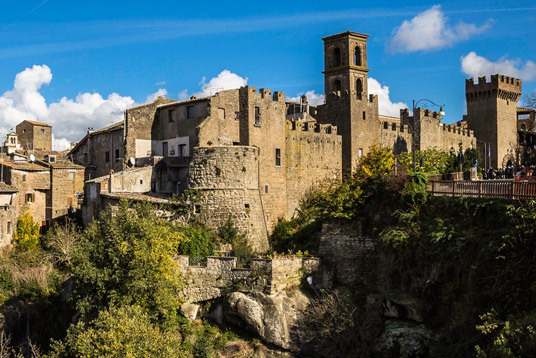 First and foremost, Foligno is the town of the Quintana, the most important historical re-enactment of the 17th century. This event is held twice a year, in June and September, where the ten taverns of ten districts of the city open their doors and take you back to another era, with jugglers, horse races, beautiful female courtiers, food and wine, all in a fine baroque setting. Auditorium: The Church of San Domenico and convent is considered one of the most important architectural monuments of Foligno. After being restored, it was turned into Auditorium San Domenico where events, performances and concerts are periodically held. Calamita Cosmica (Cosmic Calamity): The masterpiece by Gino De Dominicis is displayed in the nave of the former Church of Santissima Trinità in Annunziata. The gigantic human skeleton is one of the most controversial, obscure and avant-garde works of art of the last century. 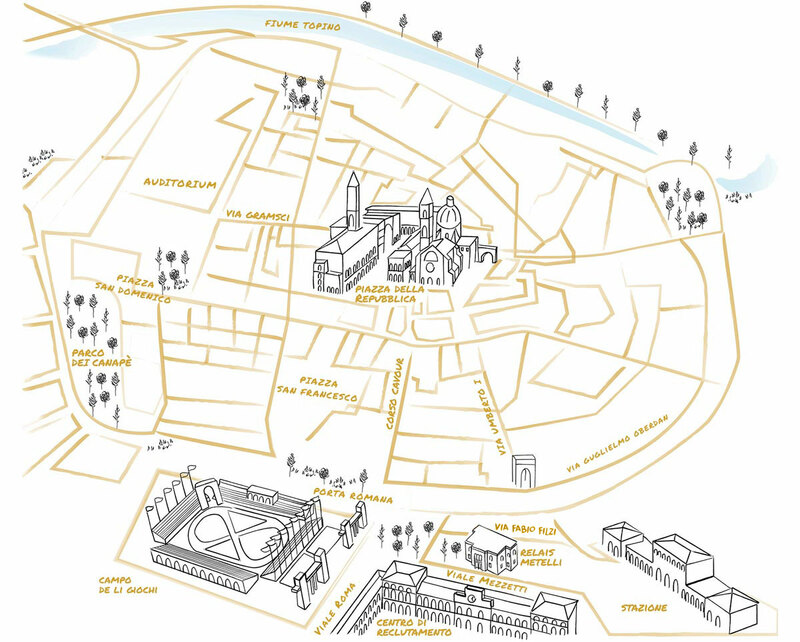 The Church where the Calamita is exhibited is in the centre of Foligno and is just a two-minute walk from our Relais. Cathedral of San Feliciano: The Cathedral of Foligno is named after San Feliciano, the patron saint of the city. The building, which dates back to the first half of the 12th century, consists of a single large nave ending with a reproduction of the well-known baldachin in the Basilica of Saint Peter in Rome. Ciac: The Centro Italiano di Arte Contemporanea is the town’s great attraction with regard to Contemporary Art research. Throughout the year, the Museum hosts the most important local exhibitions of contemporary art. Print Museum: The museum is in Palazzo Orfini, the place where the first copy of the Divina Commedia is situated together with the 15th century printing press. Oratorio del Crocefisso (Oratory of the Crucifix): The Oratorio del Crocifisso is in Via Gramsci, between Palazzo Candiotti and the apsidal part of the former Church of San Domenico. The structure dates back to the 17th century and consists of a single room that was built in at least three stages by the same Confraternity. Oratorio della Nunziatella: The Renaissance Oratory is a few steps away from Piazza della Repubblica. One can admire the renowned fresco of the Battesimo di Gesù (Baptism of Jesus) by Pietro Vannucci, known as the Perugino. Palazzo Candiotti: Currently the headquarters of Giostra della Quintana, Palazzo Candiotti is the most prestigious private 18th century architectural building in Foligno. Palazzo Trinci: The residence of the family that governed the town between 1300 and 1400 is found in Piazza della Repubblica. It is one of the most interesting late Gothic houses of central Italy. Various frescoes by Gentile da Fabriano can be found inside the palace.